The potential human-health, safety, and environmental risks associated with (1) CO2 capture at power plants and large industrial sources; (2) transport via pipeline to geologic storage sites; (3) injection into subsurface formations; and (4) after closure of storage sites was conducted on a comprehensive, state-wide basis. A conceptual site model was presented for explicitly identifying the potential releases, exposure pathways, and effects of the CO2 and trace components of the captured gas. The ongoing evaluation of geologic carbon sequestration opportunities in Pennsylvania provided the basis for this assessment. Review of the integrity of the primary and secondary seals of four potential formations to assess if the primary seals are likely to have appropriate characteristics needed for storage. Evaluation of the potential for carbon dioxide leakage from a large number of oil and gas wells (and possibly many abandoned wells), that were drilled deeper than 2500 ft. below ground over the past 150 years. Preliminary evaluation of the use of salt caverns for CO2 storage. 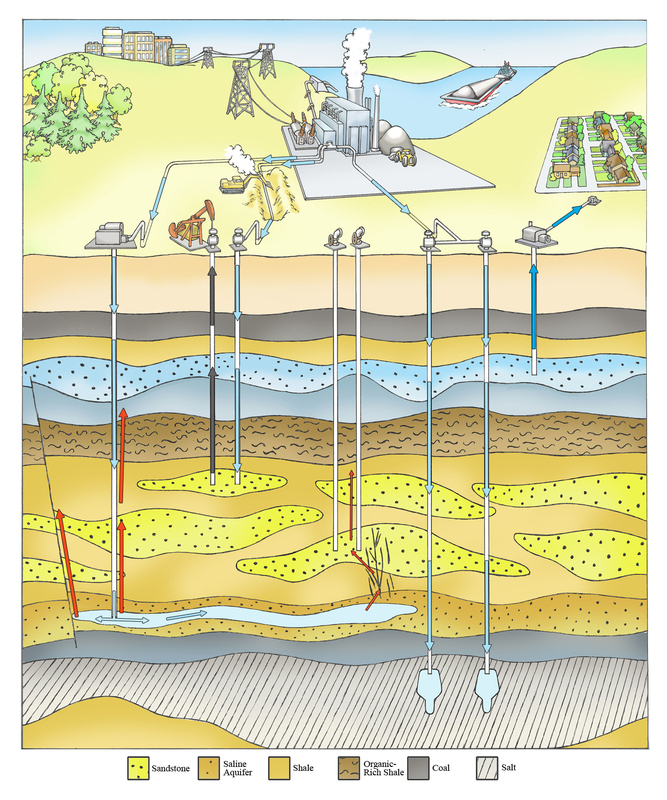 Examination of the potential for contamination of shallow aquifers if releases of CO2 occur along faults, fracture zones, or improperly sealed wells. Recommendations were made for the minimum level of information required to support such large-scale assessments, and the efficacy of existing and proposed regulations as a framework for the risk assessment is evaluated.